Is a Bloody Mary your best bet at beating a hangover? Will coffee help? How on Earth can you possibly cure a hangover? You'll be happy to find some answers in this handy infographic from Gourmandia. 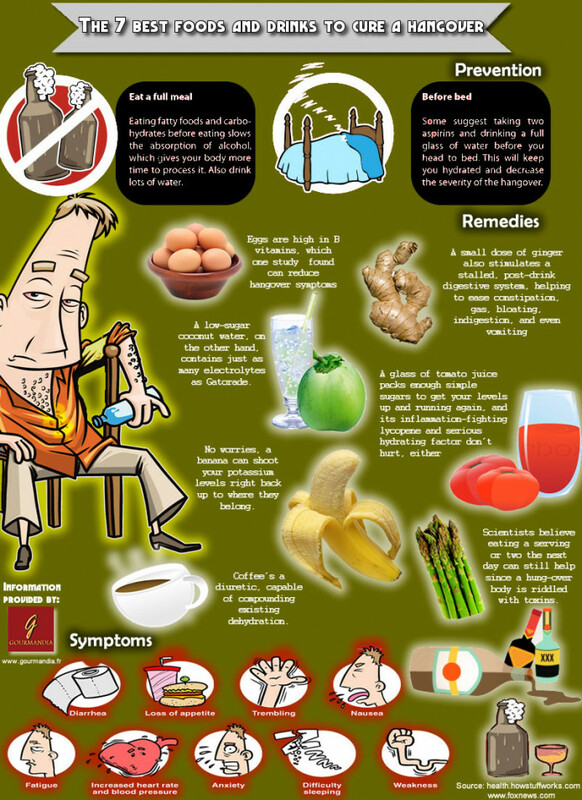 While some hangover staples like eggs and tomato juice will make you feel better you might be surprised to find out you should avoid coffee. Why? Because a cup of joe will actually contribute to your dehydration, which was already induced by the consumption of alcohol.